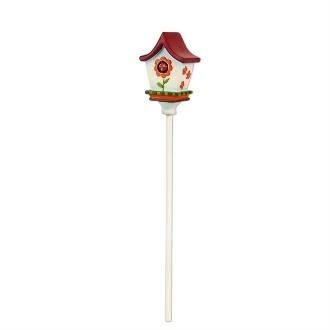 Red Roof Birdhouse with Bird for Merriment Mini Fairy Gardening. Full Description: This adorable red-roofed birdhouse is a great addition to any mini garden! Features all-weather paint. Made of resin.